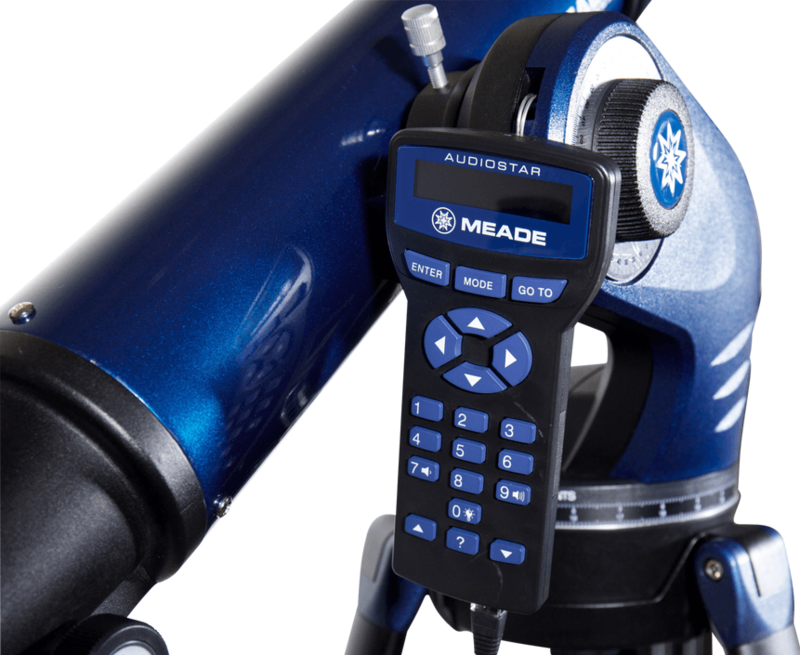 This Meade StarNavigator is suitable for every beginner. The GoTo system makes it easy to find celestial bodies and gives you information about them. The object diameter is 102 millimetres and the focal length is 660 millimetres. The maximum meaningful magnification is 204x. You can let the telescope run on mains power but also on batteries, so you can also use the lightweight telescope on location. With the GoTo system you can easily find 30,000 celestial bodies. If you use the tracking motor, the object you are observing will not "run" out of the picture. 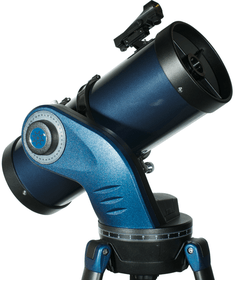 If you plan to use your new telescope in different locations, the Meade StarNavigator 102 millimetre refractor telescope is a good choice. 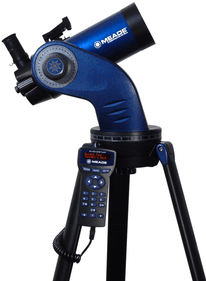 The telescope weighs only 6.35 kg and is easy to set up and take with you. 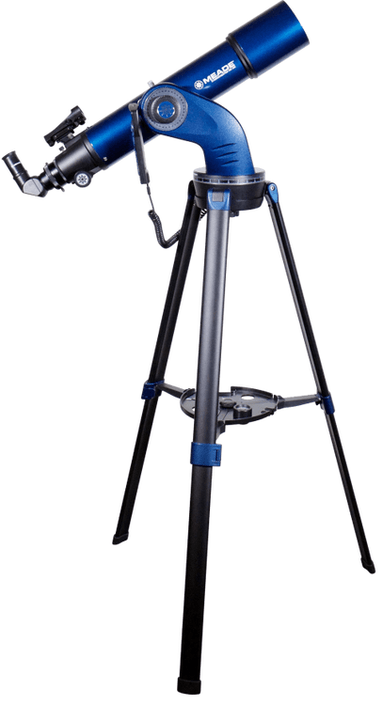 The telescope comes with a tripod made of aluminium. 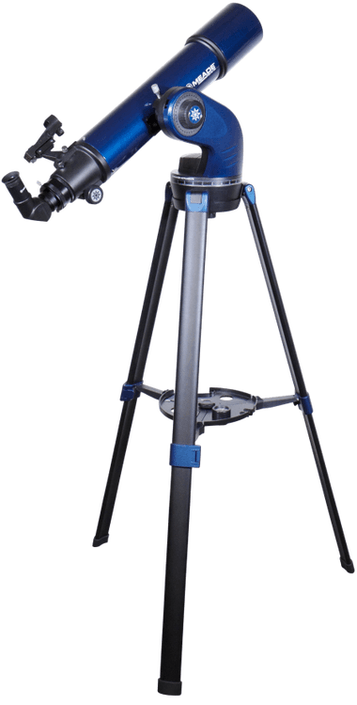 This tripod can be adjusted in height, so you can observe the sky either while you are standing or sitting down. 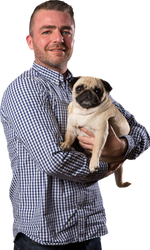 The diameter of the lens is 102 millimetres and the focal length is 660 millimetres. 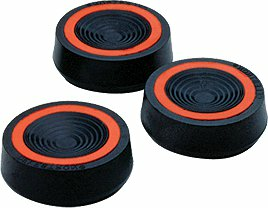 The two eyepieces supplied have a size of 9 and 26 millimetres respectively. 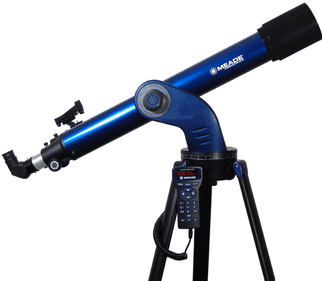 With this telescope you can easily observe the moon and planets. Setting up the telescope is easy because you can easily align the telescope. 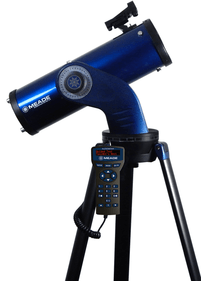 This Meade telescope features an azimuth assembly with a GoTo-system. The GoTo-system has the advantage that you can easily search for celestial bodies and that the telescope provides you corresponding information about the relevant celestial body. 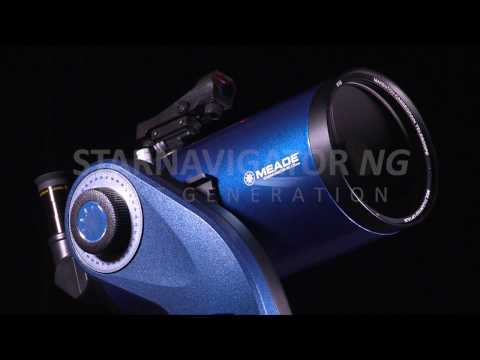 Write a review By sharing your experience with the Meade StarNavigator 102 mm refractor telescope, you can help others (perhaps still doubting customers) with making a good choice.